Custom Dovetail Drawers - Susquehanna Valley Woodcrafters, Inc.
At Susquehanna Valley Woodcrafters, Inc. (SVW) we have developed systems that guarantee success in servicing our customers. We strive to build mutually beneficial, long-term relationships by understanding each customer’s custom dovetail drawer needs. We believe that good customer service also includes the ability to consistently deliver custom dovetail drawers on time, as promised. Our high quality custom dovetail drawers and on-time deliveries combine to provide our customers with unmatched customer service. Kitchen cabinetry and furniture manufacturers looking for high-quality custom dovetail drawers can always depend on SVW in Salunga, Pennsylvania. 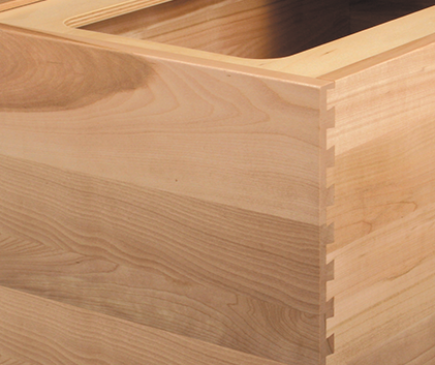 Our custom dovetail drawers are made using many different types of excellent hard woods. 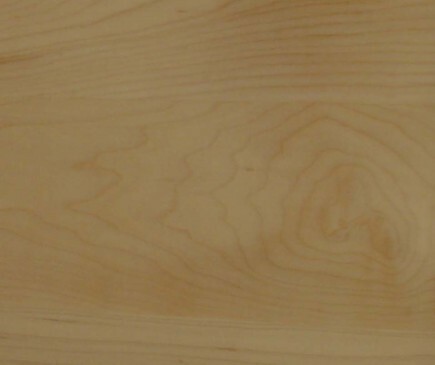 We offer: lenga, soft maple, hard maple, red oak, white oak, cherry, American whitewood, walnut, aromatic cedar, and mahogany. 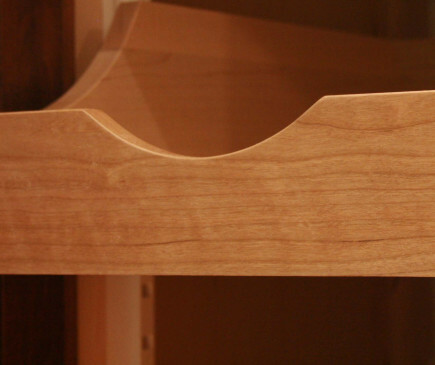 We give our customers an abundance of exciting choices in custom dovetail drawers. If you want custom dovetail drawers that meet your specifications, we can manufacture exactly what you need. We’re all about the details. If you’re interested in pantry rollouts, we can accommodate all of your side contour and hand pull requirements. We can also help customers who desire custom dovetail drawers that are equipped with adjustable dividers and custom inserts as well. SVW offers customers many choices in attractive and high-quality custom dovetail drawer design. If you have a penchant for custom dovetail drawers that feature laser etching, our specialists can help you with design suggestions and drawer box placement. 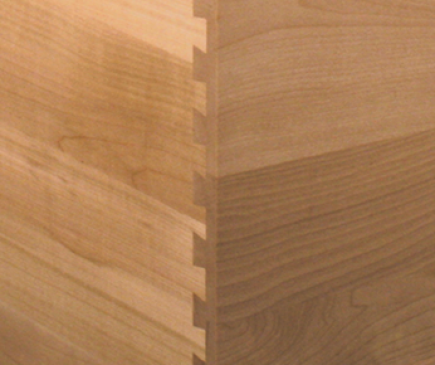 Our knowledge goes beyond the vast realm of custom dovetail drawers. Our team can also assist you with all matters that involve visible storage, angle drawer boxes, corner drawer boxes, trash can drawer boxes, file drawer boxes, bread drawer boxes, spice boxes and more. We’re a company that’s genuinely committed to five-star woodworking. Custom dovetail drawers don’t just offer extraordinary dependability; they also offer living spaces the gift of beauty. Our dovetail drawers are admired by many due to their tidy, neat and streamlined appearance. If you want to give your customer’s residence an elegant and minimalist appeal, the addition of custom dovetail drawers can indeed add to their environment. If you’re searching for dovetail drawer boxes that are good for the environment, you’ll appreciate that all of our custom dovetail drawers are “e-friendly drawers“. 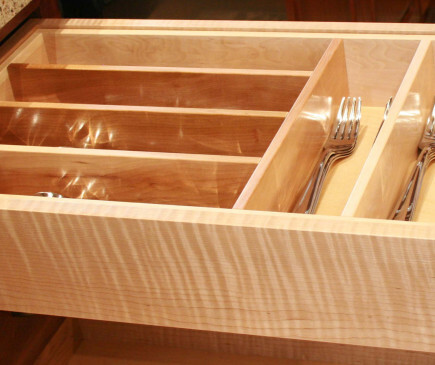 They are custom dovetail drawers that are strictly eco-friendly. 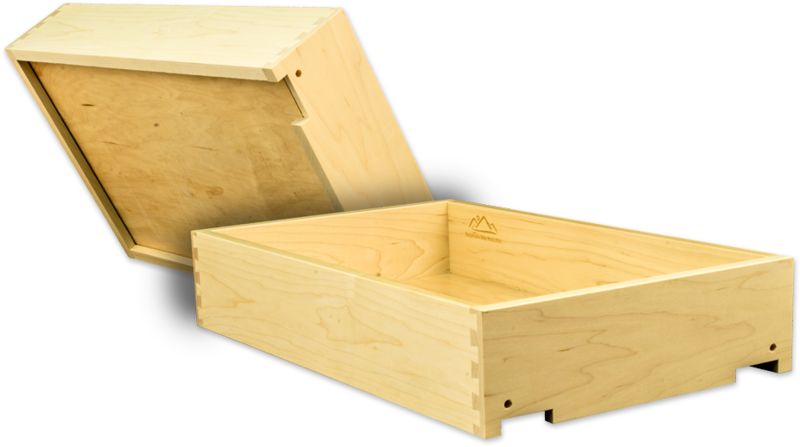 All of our custom dovetail drawers are constructed solely using environmentally friendly components. The custom dovetail drawer sides are constructed using materials that come from certified and/or controlled forests. 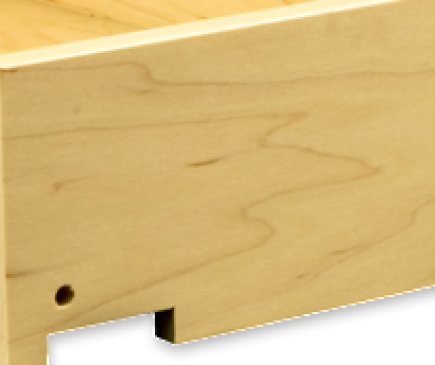 The dovetail drawer box bottoms are made using adhesives that have no added formaldehyde. For finished dovetail drawer boxes, we use waterborne clear finishes that contain low volatile organic compounds and are free of formaldehyde. We have developed systems that guarantee success in servicing our customers. We believe that good customer service is the ability to consistently deliver as promised and to be true to our commitments. If you want a variety of species options, specialty dovetail drawer box choices, environmentally friendly and sustainable custom dovetail drawers, along with high quality, the choice is clear – partner with SVW! Contact us today to learn more about our custom dovetail drawers!